Let me introduce myself. 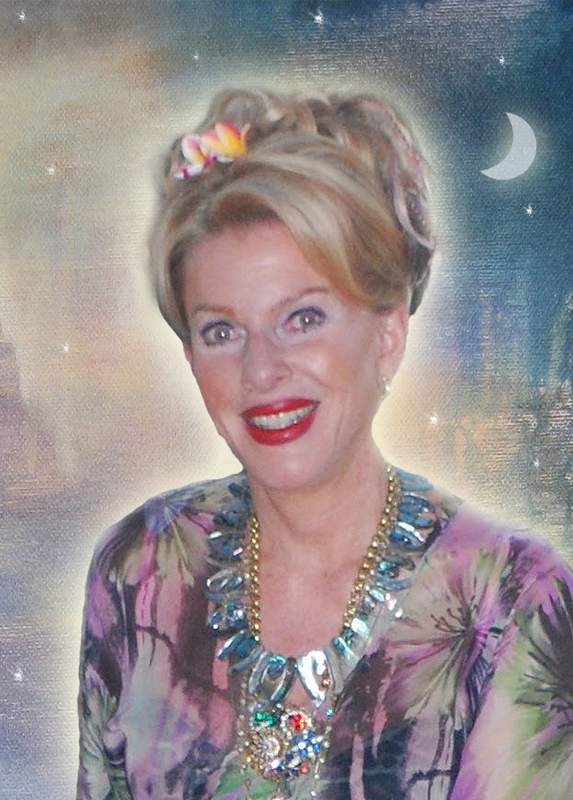 I am the Bejeweled Baroness, at your service, as the creative mystic who loves to share my transformational tools and processes with you. This is your invitation to join me on a sacred quest into the Treasures of Your Being. You have arrived here at this intersection of Enlightenment and Intentional Creativity, the reception room of the Royal Court of Empowerment, Embellishment and Glitteracy, that I also call the Cosmic EEG (pronounced like egg). Why Egg you may well ask and what is this place anyway? I like to call it Egg (giggle) because this is a birthing place, a spectacular delivery room, a crossroads, an alchemical laboratory, a sanctuary and a mystical realm where you will be given the tools and processes to give birth to your most HOLY and WILD soulful self. 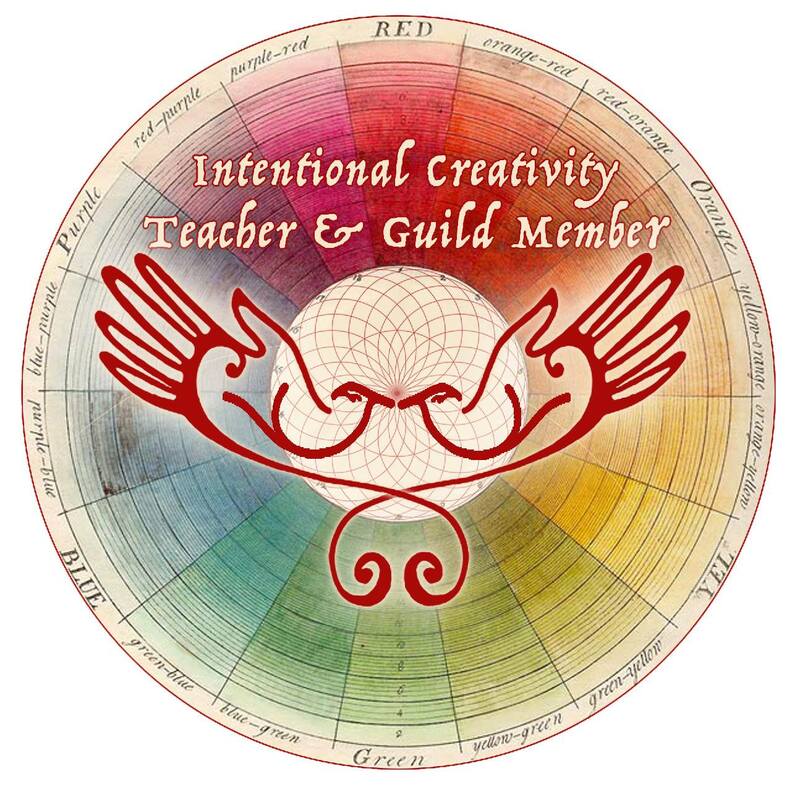 During my playshops you will receive a COSMIC GUIDANCE system that ignites your DIVINE spark and awakens your Creative Soul in a way that will help you feel more alive, empowered and joyful! You will learn how to vision and create the life of your dreams, a work of art that you live on purpose every day! To learn more about how I create my art read on. My art is created with sacred intention. I start with a prayer or meditation and ask to receive the energetic vibrations and frequencies of the Spirit realm that I am working with (I love connecting with angels, spirit animals and the Divine Feminine)into my body, heart, mind and spirit and to be given the permission and grace to bring them and their healing messages into form through the art that I create. I am a trained energy healer and I heal both myself and those who will view or own the art with this method of “infusion”. All my art is infused with healing energy and I pass that gift on to you! 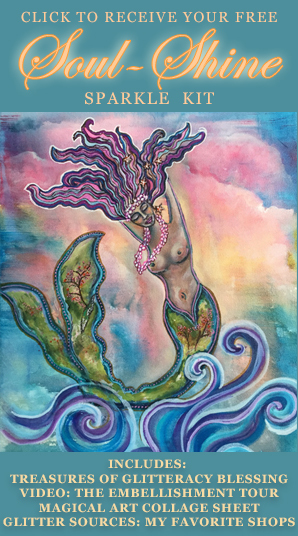 You might like to begin enjoying this lounge created for you by signing up for my newsletter at the right and receiving your free SOUL-SHINE Sparkle Kit or by visiting my Art of the Creative Mystic Gallery. I am so grateful and delighted that you decided to visit me here and I’d love to hear from you!! Visit me on Facebook and join my Palace of the Soul Divine School of Glitteracy Group to be part of our Glitterate and Sparkling Community of Divine Beings! I love hearing from you so please visit often and share your inspiring stories! !